Wiper Systems & Accessories | Exalto Emirates LLC. Type 009 has two speeds and is self parking. 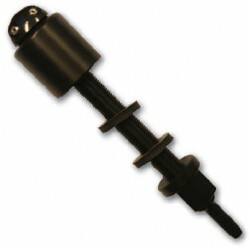 Available in 12 V and with a shaft length of 50 mm. 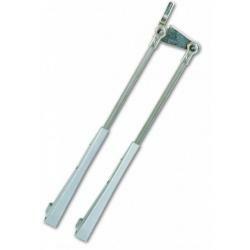 This wiper is suitable for the use of pendulum arms as a standard. 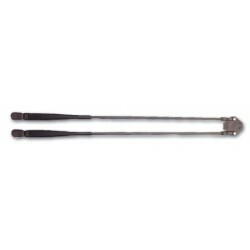 Arm for wiper motor 009 comes with stainless steel 316 with brushed finish. 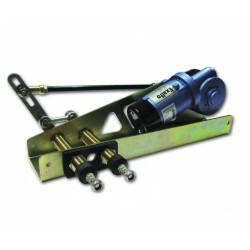 Self-parking Exalto MD wiper for bulkhead mounting. 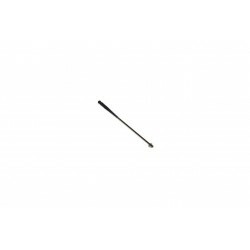 This wiper is available in 12V and 24V and for several bulkhead thicknesses. With a torque of 23 Nm these wipers can drive arms up to 750 mm in length in combination with blades up to 750 mm in length. 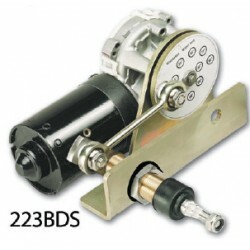 The 223BDO is a pantograph wiper system; the 223BDS has only one shaft which makes this a pendulum wiper system. For these wipers a cover in black or white is available to protect the motor and keep all moving parts out of reach. The motor is IER standard. Self-parking Exalto HD wiper for bulkhead mounting. 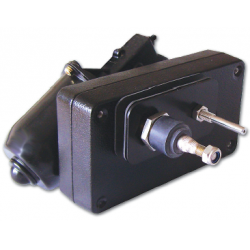 This wiper is available in 12V and 24V and for several bulkhead thicknesses. All moving parts are protected by an aluminium housing. With a torque of 32 Nm, this wiper can handle arms up to 750 mm in length and blades up to 800 mm. 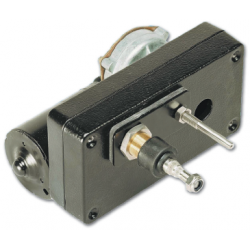 The motor has an insulated earth return as a standard. The wiping arc is adjustable from 40&deg; to 90&deg;, in 5&deg; increments. This self-parking Exalto HD wiper is suitable for bulkhead mounting. This wiper is available in 12 and 24V. All moving parts are protected by an aluminium housing. With a torque of 23 Nm, this wiper can handle arms up to 750 mm in length and blades up to 700 mm. The motor has an insulated earth return as standard. The wiping arc is adjustable from 40&deg; up to 90&deg;, in 5&deg; increments. To cover the wiper, an elegant cover in ABS (grey) is available. 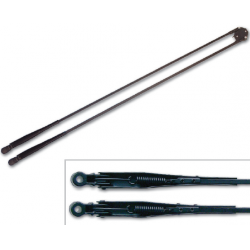 The Exalto PU arms are suitable for all HD wiper systems for small and medium sized windows up to 1100 mm in height. 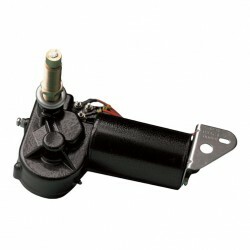 This means that they can be installed on all 223 and 230-series wiper motors. All PU arms have a fold back feature so they can be placed in fixed position away from the windshield. This makes it easier to mount the arms, replace the blades or to clean the window. As a standard the PU arms also have adjustable spring pressure to regulate the pressure of the blade on the window steplessly. The position of the blade in relation to the window configuration can be adjusted by the swivelling blade clip. 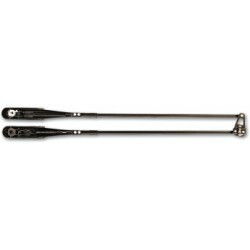 All Exalto wiper arms are made of stainless steel 316 and have bronze heads. A black coating is applied on all metal parts as a standard to prevent reflection. However, the PU arm d is polished, so you can choose which arm suits the look of your vessel most. The wiper arms are adjustable in length. For the PU arms standard and HD blades are available. Please check the wiper blades section in the catalogue. 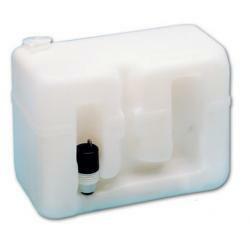 The P10 arms are specially designed for wiper motor 250BS. Exalto P10 arms are available for standard and HD blades till 800 mm in length, or for HD blades from 900 till 1200 mm in length. 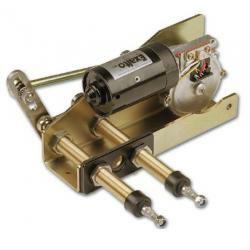 The arm is manufactured from stainless steel 316 and has brass, seawater resistant heads. The P10 arms have two fixed springs as a standard. If you want to adjust the pressure on the glass yourself, P10 arms with two steplessly adjustable springs are also available. The P10 arms have a swivelling blade clip, to adjust the position of the blade in relation to the window configuration easily. The arm has a black coating to prevent reflection as a standard. 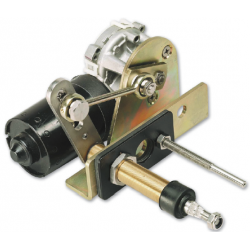 However, these arms with fixed springs are also available in high polished stainless steel. The P10 arms with fixed springs can be folded back. This makes it easier to mount the arms, change the blades or clean the window. N.B. The P10 arms with adjustable springs do not have this fold-back feature. All Exalto wiper blades are manufactured of stainless steel 316. To prevent reflection, a black coating is applied on all metal parts. The heavy duty blades have a lower profile than the standard blades and a reduced lift. 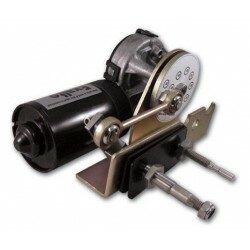 This makes them perfect for applications where a little more pressure is required. 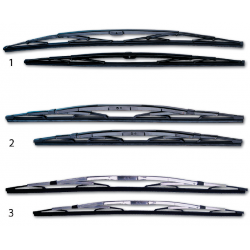 The heavy duty blades are also more screen friendly due to the use of plastic lower bridges. In case of damaged rubber, these plastic bridges will not damage the screen. The Exalto HD blades are also available in a polished version . So you can choose the look that fits your vessel.